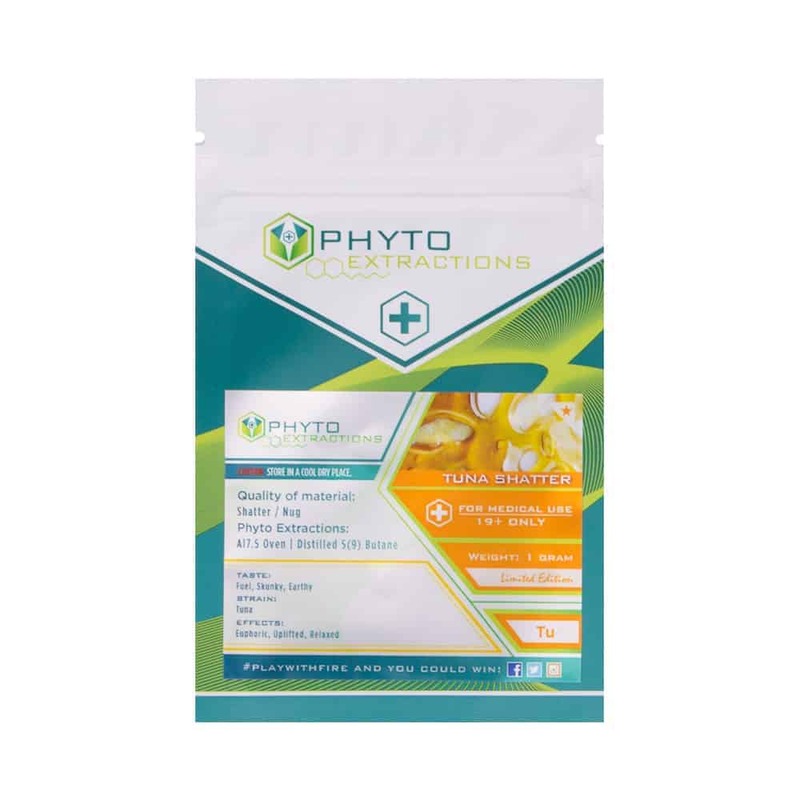 3 reviews for "Phyto – Tuna – Indica Shatter"
Excellent flavor and aroma. I smoke joints, and this shatter gives a good strong pine flavor through all the weed and kief powder I add to my joint. Highly recommend. Absolutely love this strain for mornings. I really enjoyed this one for night time smoking. It helped with the lower back pain and wasn’t so couchy that I couldn’t game or hold a conversation. Made going to sleep a lot easier even with a pain flare up. Great strain.